Thirty-Five houses sold in Saginaw in July of 2017. An interesting trend was the number of older homes that were remodeled and sold as sellers took advantage of the higher prices in our neighborhoods. Six of the 35 homes were built before 1980, and fifteen were built before the year 2000. The oldest home was on Worthy Street, which was built in 1959. The average year built for a home sold in July was 1997 and the median year built was 2001. Only one home that sold was new construction. Two factors contribute to the limited number of new homes sold, including the way that many buyers purchase new construction directly from the builder and not through the multiple listing and the fact that several of the new home neighborhoods in Saginaw no longer have lots for sale. Even though the model homes for Antares, Riverside Homes and Lillian Homes may still be in Saginaw, the new construction is in areas close to us in Fort Worth. The average sold price for a Saginaw home was $192,050. This average, hypothetical house was built in 1997 and is 1997 square feet. It sold for $99.85 per square foot. It sold at 100.27% of list price. Twenty -five of the third-five sales had full price offers or prices above the list price. Eight houses sold in three days or less. Buyers viewed the houses immediately as they hit the market, usually within the first few hours, and rushed to submit good offers. The only way to have an opportunity to purchase a home in this frantic market is to be set up with an agent who is sending you new listings as they come on the market. Our multiple listing service allows us to automatically notify potential buyers of new listings minutes after a listing is entered into the system. I can set you up with such a special search. If possible, we will view the home the first day it comes on the market. I can also help you if you are interested in selling. These sales statistics show that we still have plenty of buyers in our market. Please call me, text me or e-mail me if you would like a free market analysis or advice on selling your home. I’m here to help you! June 2017 was an active month for Saginaw home sales as homeowners took advantage of the recent appreciation in our area and investors cashed out their equity. The average home sold for $188,370. This average home was 1870 square feet and was built in 1992. These statistics for the average home reflect the sales of large, expensive newly constructed homes, but the median price of $176.500, size of 1663 square feet and year built of 1998 reflect the number of older homes sold last month. 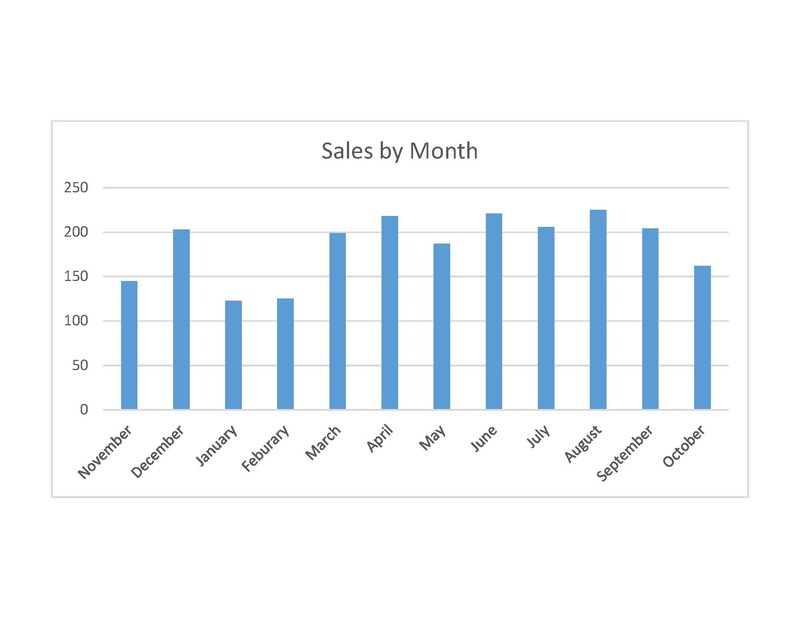 June is often the best month of the year for home sales, and sellers took advantage of the selling season. Buyers paid at least $160,000 for houses built after 1980. Three newly constructed homes were sold, one in the Dominion, one in Creekwood and one in Saginaw Springs. Of course, these numbers only reflect the new construction sold through agents and our multiple listing service, not homes sold directly by the builders. These homes had been on the market for from 118 to 259 days. The sales prices for these homes ranged from $305,000 to $339,000 for homes 2384 square feet to 3160 square feet. Last month the trend was the sales of homes in our established neighborhoods. Five homes sold in Rancho North with price ranges of $136,000 to $159,000. Seven sold in Saginaw North with prices from $65,000 to $154,900. Sellers of these homes were purchasing newer, bigger homes or moving away from the area or were investors selling to take advantage of the recent home appreciation. Highland Station had five sales with an average price of $176,550, and one amazing sale of $318,000 for a home built in 2000. This home on Topeka Drive featured an inground pool plus 4176 square feet. It sold in six days at above list price. By contrast only two homes sold in Heather Ridge, a newer subdivision in 76131. Excluding new construction, only three homes built in the last ten years were sold. The average buyer paid the list price for a Saginaw home last month. As sellers continued to receive multiple offers, the prices would have been even higher if the bank appraisals had not reduced the contract sales prices for some homes before closing. Twenty homes sold for more than the list price, and six homes sold for 100% of list price. When sellers had well kept, move-in ready homes, they sold quickly for list price or more. 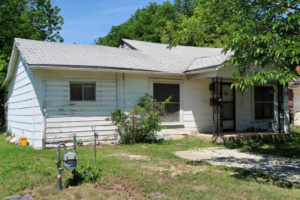 A buyer might find a fixer upper with a seller who will accept a lower price than list price, but buyers should not expect to have low offers accepted by Saginaw sellers. If the house is in good enough condition for the home to qualify for a loan, the seller probably does not need to negotiate the price very much. Other than new construction sales, only four homes sold for less than 95% of list price. One of these was my listing at 1129 Dennis where the bank appraisal reduced the final sales price. How long did homes stay on the market in Saginaw in June? The median days on the market was five days, and the average was 25 days. The difference in these statistics reflects the speed of sales of homes that are less than $200,000 and the expensive new construction. The days on the market increases as home prices compete with new construction, which start at about $200,000 in neighboring areas of Fort Worth. Thirty- three existing homes sold in less than two weeks. Only four homes that were not new construction were on the market more than two weeks. The new home on Mangrove Trail was on the market for 259 days. If you are thinking of selling, contact me before the busy summer real estate season ends. Call me, e-mail me or send me a text message requesting an updated, free comparative market analysis for your home. Let’s meet, and I will explain how you can take advantage of this incredible market and my marketing skills and experience. If you are considering buying a home in our area, I can set up a special, online search for you that sends you information about new listings within minutes of when they go on the market. We can schedule a showing immediately. I look forward to serving you. I sold 961 Fenway Lane in 3 days for $6000 above list price. The market continued to be exceptionally good for sellers. In May 2017, 38 homes sold in Saginaw. Three were new construction. The sold prices ranged from $90,000 for a cash sale for an older home in Rancho North to $399,000 for new construction in Creekwood. The average days on the market for these homes was 18 days, but one home was on the market 208 days and some homes sold the day they were listed. Twenty- six homes sold in a week or less. Most homes sold for the list price or more, although nine homes sold for less than list price. The average home sold for 99.60% of the list price. When homes are selling so quickly in Saginaw, potential buyers, sellers and agents might be wondering how buyers are financing their new homes. Of the 35 homes that sold last month, nineteen sold with conventional loans, eight sold with a VA loan, four sold for cash, one sold through a special bond program and three sold with FHA financing. I carefully analyzed the sold listings looking for indications that the sellers had received multiple offers. Apparently ten listings received multiple offers, and the sellers wished to ask for the “highest and best offer”. 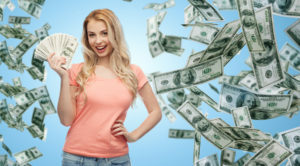 Of course, sellers may choose to accept or negotiate one good offer even if they receive several offers; therefore, more than ten sellers may have received multiple offers on their homes. Because homes are selling so quickly, buyers should make their first offer their highest offer if they really like a home, especially if the house just came on the market. If you would like more detailed information about sales trends in your neighborhood or your plan to buy and sell, please contact me for a free consultation. I look forward to serving you! 1044 West Hills Terrace sold for 105% of list price in three days! The trends for Saginaw April home sales continued with new construction, low inventory for less expensive homes, rapid sales and higher dominating the market. Of the thirty-eight homes sold ten were new construction. These homes sold in the subdivisions of Spring Creek and Creekwood in 76131 and Saginaw Springs, the Dominion and Willow Vista in 76179. The least expensive newly construction home was in Spring Springs and sold for $214,290. The most expensive new home sold in Creekwood for $309,900. Buyers competed fiercely for the less expensive homes. Only three homes sold for less than $150,000. All were in the Rancho North subdivision and were built in the 1960’s. The competition has driven the prices up for many homes. If the purchase involved a mortgage, the appraisal could limit the sales price, but often buyers agreed to pay more than the appraised price. The potential for a low appraisal makes sellers favor cash offers and offers with large down payments. In this environment of ever higher prices, some transactions will fail, including extremely high offers without comparable sales to back-up the contract sales price or available cash from the buyer for the difference between the appraised price and contract sales price. Homes continued to sell quickly. The average days on the market was 29 for all homes, but homes owned by individuals sold faster than new construction. Of the twenty- seven homes sold by individuals, 14 sold in a week or less, and the average time on the market was eleven days. New construction averaged 79 days on the market. Newly built homes often sell more slowly because they generally are more expensive than preexisting homes, and they include the homes that builders are using as model homes. The statistics for the percentage of the sold price compared to the list price in April were interesting. My listing at 1044 West Hills Terrace was listed for $149,900, but my sellers sold the home for $157,500, which is 105.07% of the list price, the highest percentage above the list price among the April sales for homes sold by individuals. By having an open house and aggressively advertising my property, I received strong, competing offers for my sellers. 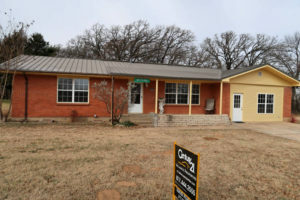 The home that sold for the greatest discounted needed repairs, and the seller received accepted $19,000 off the list price and accepted a cash offer. The average percentage of list price to sold price was 99.50% for homes sold by individuals, and sixteen of the twenty-seven sellers sold for at least their list price. The prices for new construction were even less negotiable. Only the home on Mangrove Trail that had been on the market for 197 days was sold at a discount. The other nine new homes sold for their list prices. The one HUD foreclosure, a four bedroom in Parkwest, was listed for $137,000 but sold for $160,000. April was a wonderful time for Saginaw homeowners with amazing selling opportunities because homes were selling quickly at historically good prices. Now might be a good time for you to sell your home. Please call me, text me or send me an e-mail, and let’s talk about how I can help you. Thirty-five homes sold in Saginaw in March with an average sold price of $201,927. The median sold price was only $187,000. The median price was so much lower than the average price because of the expensive, newly constructed homes that sold last month in Saginaw Springs and Creekwood. Seven homes sold for more than $250,000 and three for more than $300,000. The most expensive, a five bedroom, sold for $358,000. A big home with 3680 square feet home sold for $353,764. The least expensive home in sold this year brought $45,000. This home was built in 1930 and is 1004 square feet. It was only on the market one day. Many Saginaw homes continued to sell quickly. Seventeen houses sold in less than one week, but the average timed on the market was 37 days. Older homes with extensive repairs, some new construction and newer homes competing on price with new construction added to the longer average time to sell. Houses selling for more than $220,000 seldom sold in two weeks. The average sold price was 98.79% of the list price. Seventeen homes sold for the list price or more. None of the new construction sold for list price. These price reductions lowered the average per cent of the list price to sold price for these homes. If you are interested in selling your home, now is a wonderful time to sell. Recent price appreciation has been amazing, and the short length of time that homes are on the market makes the selling process easy for sellers. How much easier life is for sellers now that they only need to keep their home ready to show for a few days instead of for weeks or months! Please call me if you are considering selling. I know special strategies to make buyers compete even more aggressively for your home. I will also provide you with a free, careful analysis of the sold prices of a home like yours and ideas for making the most money on your sale. I am glad to visit your home and make recommendations of upgrades and repairs. With such a low inventory of homes for sale, buyers often need to see a new listing the very first day it comes on the market. If you are searching for a home in our Saginaw area, I will set you up a search for a home that meet your criteria, help you get prequalified for a loan, and then plan to show you the homes immediately as they become available. I am also experienced in working with builders and can help you purchase new construction. Please call me, text me or e-mail me if I can help you in any way. 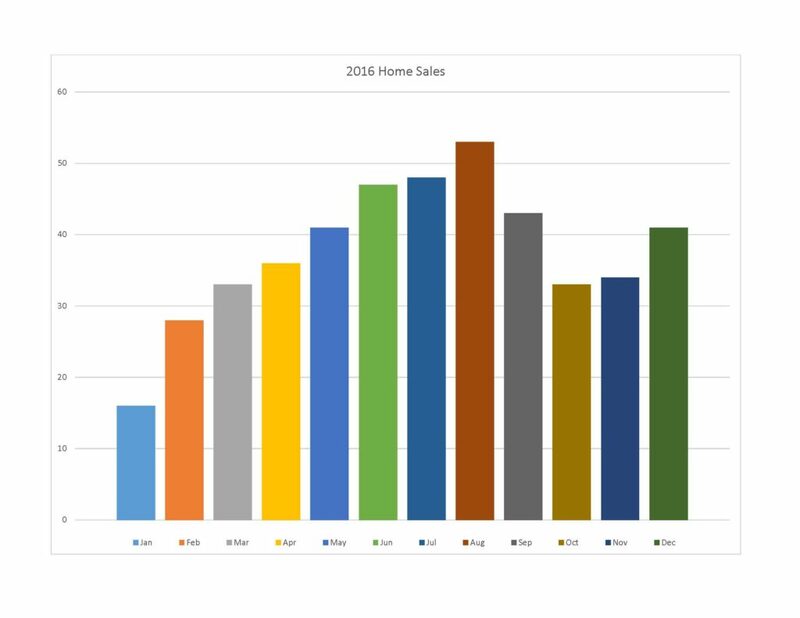 The sales of homes in Saginaw during February showed an interesting sales pattern. The twelve homes that sold for less than $190,000 were quite different than the homes that sold for more than $200,000. This $200,000 price point is important because it is the realistic starting price for most of the new construction in and around the Saginaw area. Homes listed for more than $200,000 are competing with brand new homes. Let’s look at the houses that sold for less than $190,000, the ones without new construction competition. The first twelve houses sold for an average price of $155,150 with the prices ranging from $85,000 to $189,500. They were on the market an average of 10 days. Some houses sold immediately, and one house sold after 51 days. These were older homes. The oldest was built in 1964 and the newest in 2003. The average year built was 1987. These homes were smaller than the more expensive homes with an average size of 1551 square feet. The house built in 1964 was only 1023 square feet, and the largest was 1901 square feet. The second, more expensive group of fourteen homes includes homes selling for a minimum of $206,640. Five of these were new construction, and one was a home on more than an acre on S Water Tower Road. Including the new construction, the houses were on the market an average of 122 days, but the average drops to 77 days if those builders’ homes aren’t calculated in the average. The average year built was 2010. The oldest home was the one on S Water Tower Road which was constructed in 1999. The smallest house was 1608 square feet and the largest was 3096 square feet with an average size of 2211 square feet. If you are wondering what your home is worth, find out the quick and easy way- FREE. Simply email your home address to kwheeler@kathleenwheeler. Com with EZ Price in the subject line or contact me through Facebook. I will email you a complete market report of homes sold recently in your subdivision. For more complete information about the current real estate market in the Eagle Mountain-Saginaw area, call me, text me or e-mail me to set up a free consultation. I look forward to serving you. Best time of the year to sell my home? You see that the chart does not follow the pattern the Real Estate Center would have us expect. The new construction in our area accounted for 35 homes that sold in December, which made December look as good as a summer month for the number of houses sold. Also, sales were already brisk in March in anticipation of the frantic market to follow. The number of closings shown in our MLS statistics will reflect good weather that has allowed builders to finish homes under contract and proceed with the closing. This weather factor would not affect an area with little new construction. Weather effects home purchases in several ways, though. No one is quite as enthusiastic to look at houses when it’s too hot to be in a car or when the front door knob is so hot that it can burn you. Buyers prefer to look at homes in the spring when the weather is comfortable and the grass and flowers look pretty, but often their schedules make them go house hunting in the heat of summer. 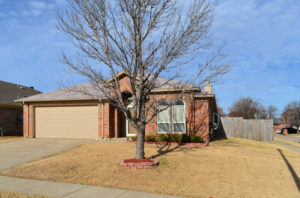 Our warm Fort Worth winters aren’t much of a problem for seeing homes, but the evening hours of daylight are shorter, which means there’s less time to go house hunting. Buyers also miss seeing a beautiful green yard. Many of our buyers are coming from other parts of the country with weather patterns unlike ours. I remember my own experience of saying I wasn’t moving from Kansas until spring because I had visions of the moving van stuck in a snowbank as we tried to move from Topeka in the winter. We must think about the buyer’s move away from another location as well as the purchase here. The holidays effect our home sales. Potential buyers may actually use that time to go house hunting, especially if they come to visit friends and family from out of town. Many buyers wish to be settled into a new home before the holidays, and especially before Christmas. Others would prefer to not sell until after the holidays are over. For some sellers Thanksgiving and Christmas décor can contribute to a home that can be stunningly staged, but for other sellers having home showings during the holidays is a total disruption. A huge factor effecting when homes sell in our area is the school calendar. Of course, parents want children to be enrolled in their preferred school district with as little disruption as possible to their school progress. Whenever possible families with children make their moves in the summer, as late as they can in the spring or during school breaks. In our area we have college and university students with school schedules that effect their lives. Even grandparents who provide after school childcare might plan a move around the school calendar. Employees of all of the schools like to be moved before school starts, and this fact is easy to underestimate. Homebuyers include superintendents, bus drivers, district computer technicians, as well as teachers. No wonder the market slows after school starts! This article is based on “Selling Season” by Ali Anari in Tierra Grande, October 2016. Tierra Grande is the Journal of the Real Estate Center at Texas A&M University. Sales in January fell from 39 homes sold in December to only 27 in January, 2017. The least expensive home sold in January was $120,000, only $100 more than December’s least expensive home. January’s most expensive home was $284,900, down from the home in Creekwood that sold for $333,000 in December. The average sales price as a percentage of list price returned to 99.42%. Buyers still generally can’t expect sellers to accept low offers in this market. The average time on the market was 42 days. Homes generally took longer to sell than in December although eleven homes sold in less than two weeks. These quick sales show that reasonably priced homes in good condition are still selling quickly. In both December and January five newly constructed homes were sold; therefore, in January new construction was a much greater percentage of total sales, a fact that effected the average days on the market. New construction often sells more slowly than less expensive, preowned homes. Many potential buyers wish to buy homes, but they have been frustrated by the months of low inventories in our markets. If you are thinking of selling your home, please contact me to receive a current, free market analysis and information about our amazing market for sellers. If you are a buyer, please contact me so that I can help you immediately view any new properties that come on the market. I am a full- time agent who lives in the Saginaw area who can usually show you a new listing the day it comes on the market. Please call me, text me or send me an e-mail. I look forward to serving you. I often have buyers believe that a seller will accept an extremely low offer on a home just because they are offering cash. When a buyer receives two very similar offers and one is cash and the other involves financing, the seller will usually accept the cash offer, but if the offers are not equal, let’s look at what a seller must consider including the net proceeds, time limitation and repairs. Whenever I receive an offer for my sellers, I prepare a careful net proceeds document which allows the sellers to know what money they will receive at closing when the house is sold. A cash buyer may request the existing survey from the sellers, but without financing, a survey is not required for the sale. Not needing to pay for a survey will save about $400, a cost that the buyer might ask the sellers to pay although this expense is negotiable. If the buyer does not ask for closing cost concessions from the sellers, the cash offer and the offer with financing often net them the same amount of money. VA loans and some special programs have extra costs, but those can be presented to the sellers when they analysis their net proceeds. If the sellers accept a cash offer, they assume that the closing will be on time without the high possibilities of delay or disruption. If the home is in good condition and priced based on recent comparable sales in the area so that the appraisal will not be a problem, a buyer with a conventional loan can complete the sale in about a month and a buyer with a VA or FHA loan will need about 45 days. VA and FHA loans have some minimal repair requirements that sometimes delay closing if they are not addressed early in the process. The transactions that are most likely to close on time have large down payments, and the buyers are working with experienced, trustworthy lenders. The buyers also can expedite the process by providing the lender with necessary documents and information as soon as it is requested. Sometimes cash really matters. If a home has an air conditioner, roof or foundation or other serious repair that the seller can’t repair because of cost or other personal circumstances, the buyer will not easily be able to get a loan for the house. If the seller must sell, his possible buyers would be the limited number of cash buyers or the rare buyer on a special financing program. New Construction Here for Less than $190,000! DR Horton is pre-selling homes in Villages of Eagle Mountain right here in the Eagle Mountain/Saginaw ISD. This new subdivision will be off WJ Boaz Road, and the prices start as low as $185,990 now for a four bedroom home. I can help you take advantage of this opportunity. Please contact me for this or any other real estate need. December sales reflected a slowing trend typical of winter. Thirty- nine houses sold with the average list price of just less than $200,000. The least expensive home sold for $119,900 and the most expensive was $333,000, a new Highland Home in Creekwood. The average home sold for 97.83% of the list price, which is less than the 99% of list price several months earlier. Not all homes are selling at a discount; sixteen sold for 100% of list price. Homes sold in an average of about a month, and only 10 homes sold in less than two weeks. Certain segments of the Saginaw market were of special interest in December. New construction accounted for four of the sales with prices ranging from $251,618 to $333,000. Highland Homes, Mc Bee and Antares all sold new homes. Although homes in the Courts of Willow Creek do not come on the market often because most residents love their neighborhood, four houses sold last month. The prices averaged $232,975 in the Courts of Willow Creek. Five preowned homes sold in Creekwood with prices ranging from $180,000 to $302,000. Highland Station had six sales with a range of prices from $163,300 to $195,000. 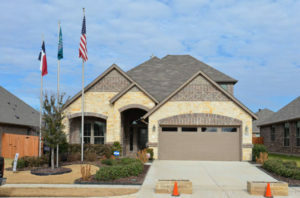 The average size of a home selling in Highland Station was 2222 square feet, which is a great size home for a family. With the schools, parks and shopping so convenient, Highland Station is an economical, wise subdivision choice for young families. January of 2017 began with a very low inventory of preowned homes. Forty houses are for sale, but twenty-three of them are new construction. The average home for sale in Saginaw is listed for $257,951, and only five were listed for less than $200,000. Please call me, text me, or e-mail me if you would like more information about buying or selling a home in Saginaw or if I can help you in any way. Century 21 Alliance Properties agents go see our new office listings on Wednesdays. Because our brokerage has an office in Saginaw and one in Azle, we meet in Saginaw one week and then meet in Azle the next week. We preview the newly listed homes in the area where we are having our weekly meeting. My plan is to share with you my favorite features of our new listings. I see some amazing homes that I will enjoy sharing with you. 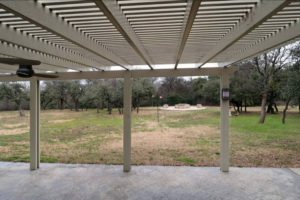 We previewed this amazing home on Reynolds Drive in Azle with more than 5 acres. 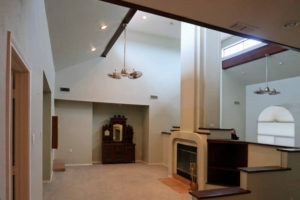 Stunning living room with high skylights and a unique central fireplace. This patio looks out across the wooded acreage in the back yard. What a perfect escape from the bustle of the city! Welcoming home even has a front porch! 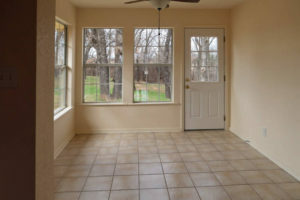 One of the cheerful rooms with lots of windows looking out to the wooded acreage. View from the back deck out to the woods. If you would like more information about these homes, please call me, text me or send me an e-mail. I am eager to answer your questions and show you these lovely homes. Why Are Saginaw Homes So Expensive Now? Often potential buyers ask me this question because our home prices have increased so dramatically in the last couple of years. The shock is greatest for buyers moving here from more rural parts of the country and long-time residents who haven’t purchased a home in several years. The real reason for the increase in prices is supply and demand for homes that families can afford. Because the hopeful buyers outnumber the sellers, multiple offers and disappointed buyers have been typical for homes listed for less than about $170,000 in our area. The North Texas economy has grown at an extraordinary pace as companies relocate here from other areas and new businesses open. The relatively low cost of living, the lightly regulated business environment, good access to major transportation, warm climate and quality institutions of higher education have all contributed to attracting newcomers to our area from other parts of the United States and around the world. I often meet newcomers who first move to the Saginaw area for employment opportunities, but later are followed by family members who soon love Texas, too. In the past many families sold smaller, older homes to buy larger, newer homes, but the increase in home prices has now outpaced the average increase in wages, making this move-up transition less affordable. In the Metroplex builders are focusing on building more expensive homes, as the cost of land, building materials, government permits, and construction workers has increased. Many workers left the construction industry during the Recession when our local building almost stopped completely. After the Recession, many workers sought employment in the oil industry with its higher salaries. Builders had the challenge of finding skilled workers when the market turned around, and they were ready to start building again. As the builders need to construct more expensive homes to make their necessary profits, they also keep out two other parts of our housing market who are competing for the more reasonably priced homes. These hopeful purchasers are the first-time buyers and retired folks. I fondly remember our first 1000 square foot house we purchased as newlyweds. It met our needs perfectly at the time, and we bought it for no money down on my husband’s VA loan with my starting teacher’s salary. Many seniors wish they had small homes that are easy to care for and fit into their budgets. I wish I had enough homes to sell that were perfect for everyone. Even in this challenging buyers’ market, some homeowners sell, and I can help you be sure that you do not miss out on a chance to buy the home that is just right for you. I can set you up a free-online search that will notify you immediately when the perfect home becomes available. If you think you might like to sell your home, please contact me for a free market analysis and the most up to date information about our local real estate market. Please call me, text, me or e-mail me if I can help you in anyway with real estate. I’m here to answer your questions and help you solve problems. My source for this blog was the article “Game of Homes: The Supply-Demand Struggle” from October 2016 of Tierra Grande, Journal of the Real Estate Center of Texas A&M University. Thirty-one homes sold in Saginaw in November 2016. One was a foreclosure in Rancho North and six were new construction. Three new homes were built by Lillian Home and one by Antares in Saginaw Springs. Cheldan sold one new home in the Dominion. MI Homes constructed one Saginaw home in Creekwood. Preowned homes continued to sell well with an average sales price of $169,816. The average seller received 99.15% of the list price for his home, which means that buyers shouldn’t expect to negotiate much on the list price of our homes. The average time on the market for houses was 24 days, and 14 homes sold in less than two weeks. What does this local market information mean for Saginaw home buyers and sellers? If you are a buyer, keep actively looking for your ideal home because desirable homes are still coming on the market and selling quickly. Of course, fewer homes are listed at this time of the year, but other buyers might be distracted with holiday activities which gives you a chance to make an offer on that perfect home. Sellers still expect to receive good offers on their homes because our market is strong and prices are holding up well. If this is the right time for you to sell your home, go ahead and list it. Many agents have a whole data base of clients who still haven’t found their ideal home after the frantic market of the spring and summer. Local homes that are priced well still have a steady stream of viewers. We also have clients who continue to be relocated to our wonderful city. Another advantage of listing now is the way holiday decorations can add a special sparkle to your home staging when we market your home. Please call me, text me or e-mail for information about your home’s value and my special services. If you dream of living in a new home early next year, I am here to make your dream a reality. When is the best time of the year to sell my home? Thirty homes sold in Saginaw in October 2016. They ranged in price from $49,000 for a frame home built in 1938 to two newly constructed homes in Saginaw Springs, one which sold for $304,900. The small home on Belmont Street was a foreclosure in need of repairs with 886 square feet of living space. The most expensive new home has 2904 square feet. Although the average seller still received 99.57% of the list price, the average time on the market increased to 36 days. Only twelve homes sold within the first twelve days on the market. Of these homes nine sold for $160,000 or less. Houses above this price point are often taking weeks to sell now that the fall buying season has arrived. Probably the most interesting statistic for me this month was the fact that no one sold a house built between 2007 and 2015, and only three homes built in 206 were sold. Of course, these were the years of the Great Recession and less building, but Saginaw had some new construction during that period. The average year built for a Saginaw house that sold last month was 1995 and the median was 2000. Here are two possible conclusions from such numbers: First of all, we still have buyers who want newer homes and have not been able to find them for sale at prices they can afford. Second, sellers are not being forced to sell homes they purchased as new construction several years ago. Forced sales come with job loss or transfers and changes in the family, such as death or divorce. The sales in many of the older homes are carefully planned moves, such as downsizing for seniors or upsizing for growing families. Many of these were happy moves that took advantage of our market’s incredible appreciation. If you would like more information about the market or how I could help you in any way, please call me, text me or e-mail me. I look forward to serving you! Homeownership: What Papers Do I Keep and What Do I throw Away? LOAN DOCUMENTS, DEEDS and FINAL SETTLEMENT STATEMENTS Always keep any final loan documents, deeds or final settlement statements from the title company. We used such documents dating back decades to reinstate my husband’s VA eligibility when we assumed a VA loan several years ago. We recently needed the final closing statement to prove the ownership of our present house to use the lifetime warranty to get parts for our Genie garage door opener that quit after many years. APPRAISALS and BUILDER’S PLANS Retain any former appraisals or builder’s plans because these will verify the correct size of your home. Often the size of the home according to the taxing authorities is not right. When you try to sell your home, and the buyer’s appraisal gives a size that is different than the square footage you used to market your home, you might delay your sale and need to adjust your sales price. The floor plan and the actual builder’s plan can be used to market your home and are helpful for the new buyer. HOA DOCUMENTS When you list your home for sale, you will need a copy of the contact information for the HOA and the ability to get the covenants for the subdivision. Your title company will need to know the costs involved in the sale and transfer of your property in an HOA. Access to the HOA rules will be helpful, too. This information might be on a website or in the documentation you received when you purchased your home. The rules may be especially important, for example, if the new buyer wants to store a boat or trailer, park a work truck with signage or build a workshop. Because HOA rules and fees can change, you may want to throw away old information when it is replaced with updated information. The HOA information needs to include how the new owners can enjoy the community amenities and should address such issues as how they receive a community pool key after closing. UTILITY BILLS Utility bills are very important to new buyers. Century 21 Alliance Properties will ask you for the annual average cost for your gas, electricity and water. I always believe this information should include how many people live in the home. Contact information for the necessary utilities is very helpful. OTHER SERVICE PROVIDERS Documentation about other service providers could help the new buyers, too. Who provides your cable service and your internet? Do you have a company monitoring your security system? If you are satisfied with these services, please provide the information, and the new buyers can choose these if they wish. I do not recommend transferring contracts between sellers and buyers because of my past experience with financial confusion and bad results when a seller tried to transfer her contract. Expired and out of date contracts for these services can be discarded. RECEIPTS and WARRANTIES Keep a special file with information about all of the small, extra features of your home, such as your smart home system, your water filter, or your recently replaced garbage disposal. If these are new items that might impress a potential buyer, you might want to leave this documentation in a neat file on the counter for the buyers to see when they visit your home and allow them to be part of your marketing. You might even like to make a list of what was recently added to your home. After the sale of your home, you should pass along this file so that the new buyer can have it to buy replacement parts or maintain these items. Keep receipts for repairs on appliances, warranties, and information booklets. The new buyer will be grateful. Don’t forget to update this file as the years go by and toss out information about whatever is replaced or discarded. SELLER’S DISCLOSURE Our standard Seller’s Disclosure asks when your roof was last replaced, so when you list your home be sure you can locate receipts for all roof repairs and replacements. Keep warranties and all documentation. The condition of your roof is a major concern when you sell your home. Have a file for your homeowner’s insurance handy because you will most likely be calling your insurance agent if a home inspector has serious questions about the condition of your roof. SWIMMING POOLS Swimming pools deserve their own file which should include receipts such as those for the original installation, repairs, maintenance and chemicals. The new owners might appreciate information about maintaining the pool and where to buy pool chemicals. Maybe you have a pool care company you can recommend. I have had sellers graciously give “pool lessons” to new owners who will be enjoying their first pool. FLOORING Flooring is not just carpet any more. Again a folder with information about the proper care and replacement of a floor will be very helpful. New buyers appreciate the extra tiles, planks or carpet pieces in case repair is necessary to a small area of the flooring. FIREPLACES Fireplaces need cleaning and care if they are used for more than just decoration. Keep the manuals and receipts for fireplace maintenance. FOUNDATION REPAIR Has your home had foundation repairs? Potential buyers will need to know the extent of these repairs, such as whether you dug in French drains. Our best foundation repair companies have a lifetime warranty on their repair work, but you will need to refer to the original repair documentation to make a claim. The repair companies often require the new owners to submit an application and pay a transfer fee to get the warranty. The warranty is often for the area where the previous work was done and isn’t for the entire house. Also keep all reports from structural engineers where you can easily find them to pass these along to a potential new owner. WOOD DESTROYING INSECTS The Seller’s Disclosure asks about any treatment for damage from wood destroying insects such as termites, carpenter ants or army ants. Be sure to keep any receipts for inspections, treatments or repairs related to these insects. Sellers must disclose damage going back as long as anyone had knowledge of the insects’ activity, which means retaining information that was given even by a previous owner. Never throw away termite treatment information on property you currently own! MINERAL RIGHTS Maybe you live in an area where you own your subsurface rights, in other words, your mineral rights. If you are receiving payments from an oil and gas company, or a request to purchase or lease these mineral rights, you may wish to retain these rights. Have an orderly file with your lease available for reference. If you received requests in the past to purchase or lease your mineral rights, you probably have your mineral rights, but in many of the newer subdivisions, the developers or previous owners have these rights. BUILDING PERMITS If you do extensive remodeling or repairs, you may need building permits from your city for the work. If you have any questions about what needs a building permit, check with your local city office about the rules and regulations. Professional plumbers and electricians will get the necessary permits for work they do, and you will want to keep any paper work they give to you. Changing a floor plan, removing a load-bearing wall or adding a deck are other modifications that should have permits and an inspections. September sales in Saginaw represented the end of the frantic summer selling season. Forty two homes sold in Saginaw in the month of September. These homes had contracts written as early as August or possibly July. Only 14 homes were on the market for two weeks or more. Most homes sold in less than two weeks with contract sales prices that were 99.67% of the list price. The sold prices for Saginaw homes was between $121,250 and $347,036. 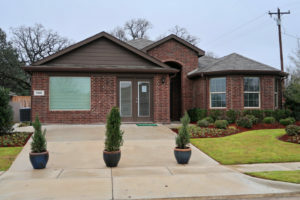 Sales included new construction and older homes. Three newly built homes sold in Creekwood and two new homes sold in Saginaw Springs. These were the homes with prices over $300,000. Nine homes were built before 1990 which included three from Saginaw North and five from Rancho North. These w homes sold for less than $150,000. Highland Station also had brisk sales activity with five sales that ranged from $154,000 to $179,000. The middle of October finds us with a more typical, more relaxed fall real estate market with fewer multiple offers and less buyers actively trying to outbid each other on homes than we had last spring and summer. Now buyers can take the time to carefully consider a home purchase, but they should not wait too long. At least a family can carefully discuss a home’s benefits before jumping into a contract. If you are considering buying a Saginaw area home, please call me. I have several excellent lenders who can help you prequalify for a mortgage. I can also set you up a personalized online search for homes that meet your special criteria. 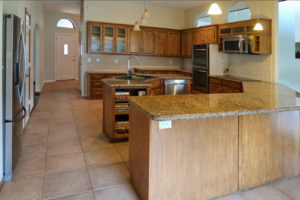 When you find a home you like, you can contact me immediately, and we will make plans to preview the home just as soon as possible, often that day. Because you are seeing new listings just as soon as they come on the market, you will not miss out on homes that sell very quickly. Please call me, text me or send me an e-mail, and I will begin your home search. If you have been thinking about selling your home, please contact me to learn more about the local market and how I can serve you. Now is still a good time to sell your home. The local inventory of homes for sale is very low, and we have eager buyers. By selling at this time of the year, you can take advantage of the price appreciation we saw throughout the spring and summer of this year when multiple offers were causing prices to go higher and higher. By selling now your home’s appraisal will be higher because the comparable sales for your area will include all of the high prices from the amazing spring and summer market. The August home sales in Saginaw were astounding. A total of 52 homes sold, and twenty five of these houses sold in less than two weeks. The least expensive home sold for $80,000 and the most expensive house sold for $359,280. 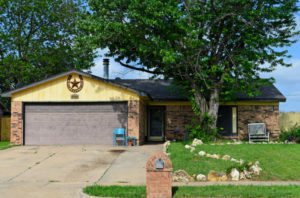 The least expensive home is located in Rancho North and was built in 1962. It has three bedrooms, a converted garage and one and a half bathrooms. The most expensive home is a new home in Creekwood with five bedrooms, three and a half bathrooms and a two car garage. 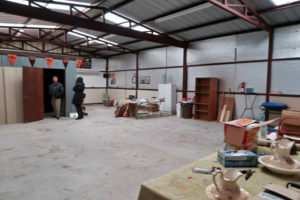 It is 3325 square feet. The average sales price for a Saginaw home sold in August was $189,916. The average Saginaw seller received 99.28% of the list price as the final sales price. This percentage is deceiving because of the various segments of the market. Here is the breakdown of the market by three price points: Eight houses sold for less than $150,000. The average year built was 1976. These houses were on the market for an average of 24 days and sold for 93.95% of list price. These homes are often less popular because they need more repairs and updates than newer homes. The second category of homes were those priced from $150,000 to $220,000. The average year built was 2001. These sold for an average of 101.03% of list price, which indicates owners often received multiple offers. The average time on the market was only twelve days. Houses above $220,000 represent the most expensive homes. The average home was built in 2011 and had 2544 square feet. These sold in 110 days for 98.85% of list price. August sales represented contract that were often executed as early as June because new lending rules require a 45 day closing for many loans. These August sales included new homes for families who wished to be settled before the start of the new school year. Now agents are preparing for fall sales which are a little different. Adult family members and those with new employment in our area will continue to be looking for homes as they move from other places. Now their goal could be to settle in before the holidays or before bad weather comes to other parts of the country. No one wants to load a moving van in a Kansas blizzard! We also still have buyers who were not able to purchase a home because they were not fast enough to be first in the craziness that was our spring market. They are still looking for homes, and the comparable sales will probably justify a higher price for your home than you might have received last spring. This could be a great time to sell your home! Please call me, e-mail me or text me to learn more about what is happening in Saginaw real estate and how I can help you! 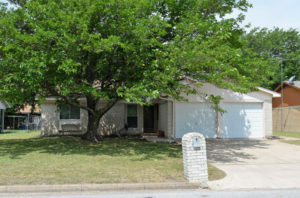 June’s home sales in Saginaw kept rolling along at a frantic pace with 46 homes sold through MLS. The average price of a Saginaw home was $190,163 and the median price was $178,750. The prices ranged from $69,900 for a three bedroom, one bathroom home built in 1953 up to new construction in Creekwood that sold for $311,044, $324,900, and $342,040. Newly constructed homes also sold in Saginaw Springs and Willow Vista Estates, but these houses sold for about $250,000 each. The average time on the market for all homes was 35 days. Very few homes were for sale for a month although some of the older homes built before 1985 sold in approximately 30 days. Expensive homes truly upset the average with one newly constructed home selling in 132 days, another in 261 day and one after 107 days. Thirty three homes sold in ten days or less. These quick sales mean less stress for the sellers when they must only keep their homes show-ready for only a very few days before the house has a contract and distress for the buyers as they try to make offers and decisions so quickly. The average percentage of the list price to the final sales price of homes sold in June shows how much the market was truly a sellers’ market. The average home sold for 99.63 % of list price. The highest percentage was 105.92% of list price, which was a final price of about $10,000 above the list price. The greatest percentage price reduction was 90.35% of list price. Only sixteen of the 46 home sales were for prices less than the listing price. Houses listed for more than $250,000 had the most price reductions. Just when we thought the Saginaw market was hot, it got even hotter! In May thirty-six houses sold in Saginaw including six newly constructed homes in Creekwood, Saginaw Springs and Willow Vista. The new homes ranged in price from $238,131 to $386,853. Let’s look at averages for May Saginaw sales omitting new construction. 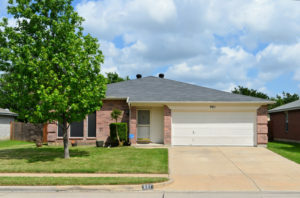 The average home was built in 1999 with the oldest home being constructed in 1972. The newest was built in 2010. The average size of a home sold was 2033 square feet. Only three houses with less than 1600 square feet sold. This is significant because we have many buyers looking for their first home or wanting to downsize. If a small home is what they desire, we have few for sale. The list price of the average house was $175,955, but the sold price was $176,562, which means that the average home sold for 100.46% of list price. Bidding wars and offers above list price drove these prices up. Twenty-one of the thirty homes sold at list price or above. Three homes sold for less than $140,000, and six sold for more than $200,000. The time on the market average was only 10 days. Twenty three of the thirty homes sold in less than one week. Five homes had swimming pools, and these homes all sold in less than one week. Many homes go under contract so quickly because buyers’ agents and house hunters know they will miss out if they do not write an offer immediately when they see a home they like. If you would like more information or my assistance in buying or selling in this market, please call me, text me or e-mail me. I look forward to serving you! Thirty-three homes sold in April in Saginaw. These sales continued the trend of a hot seller’s market for preowned, more affordable homes and the steady sales of larger, more expensive new construction. The least expensive homes both sold for $125,000. One was in Parkwest and the other in Saginaw North. Both houses were about 1400 square feet. The most expensive homes were two that sold for $360,000. These were new construction in Creekwood with 3302 square feet and 3286 square feet. The average size of a home that sold in April was 2095 square feet, but 17 homes were less than 2000 square feet. 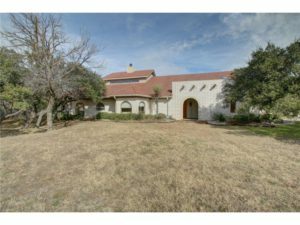 Only three houses were more than 3000 square feet, the two most expensive homes in Creekwood and a large home in Highland Station home built in 2001 with 3655 square feet that sold for $219,000. With the sales prices ranging from $125,000 to $360,000, the April average price for a home that sold in Saginaw was $191,260. The median price was $172,000. The average home sold for 99.57% of the list price. Thirteen of the homes sold for more than list price and seven for full price. Buyers can’t find any bargains here! Including the new construction, the average home was on the market for forty days. Leaving out the new construction brought the average time on the market down to twenty days, and thirteen homes sold in less than two weeks. Even these numbers are deceiving because they represent the extra time that agents allowed for buyers to bring their highest and best offers after receiving multiple offers on a home right after it came on the market. Because of the pressure to make quick buying decisions in this frantic market, more buyers are changing their minds about purchasing a home during the option period, and these houses come back on the market, adding to the average days on the market when they are finally go under contract with another buyer. In the past when more homes were available for sale, buyers thought longer before making the initial offers, and less homes came back on the market because buyers decided the home just wasn’t quite right for them. Because buyers frequently change their minds, writing a back-up contract can be a smart strategy in this market. If you would like more detailed information about marketing your home or the local market, please contact me. To serve buyers I can set up an instant search for homes meeting your special criteria. I can help you be the first to see and make an offer on homes in our area. With my expert knowledge of our neighborhoods and community, I can help you make wise choices. The March 2016 sales for Saginaw followed the trend of the last few months with a low inventory of houses for sale in the lower price ranges. Only ten houses sold for less than $150,000, and twelve sold for between $150,000 and $200,000. Eight houses sold for more than $200,000 with the highest priced home selling for $332,871. This home was new construction in the Creekwood subdivision. The average sold price for a home was $176,675, and the average year built was 1997. Three types of homes sold in Saginaw last month. First were the rare investor homes with structural problems. These do not qualify for FHA, VA or even some conventional financing. Cash buyers can find bargains for less than $100,000 if they can do repairs such as foundation work. These homes are sometimes foreclosures, but individuals who are unable to make the repairs also sell distressed properties. 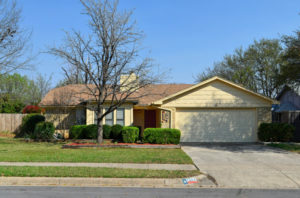 The second group of homes were the preowned homes. Twenty-two of these homes sold with an average sold price of $161, 568. The final sold price was 99.24% of the list price, and the average days on the market was 21 although the median days on the market was only 6 days. Twelve houses sold in less than one week. New construction is the third type of home in Saginaw. Five newly built homes sold with prices ranging from $250,000 to $332,871. This frantic market is good for sellers but a challenge for buyers. If you wish to purchase an existing home in Saginaw, and you are not already working with another real estate agent, contact me and I will set you up a personal, online search that will send you information about listings as they come on the market. These updates are sent to potential buyers within minutes of when they hit the market. If you contact me immediately, I will set up a showing for you as soon as possible, often within the day. When sellers are receiving as many as ten offers on one property after the first day on the market, you need an aggressive buyer’s agent who can serve you promptly. Do you need a mortgage lender? I can provide you with several lenders who give excellent service with competitive rates. Please contact me if I can help you in any way. A total of twenty- six houses sold through multiple listing in February 2016 in Saginaw. One foreclosure sold in Highland Station which was an online auction sale. That property was on the market for 144 days. Another foreclosure sold in Rancho North. McBee, who sells new construction, sold one house in Willow Vista. 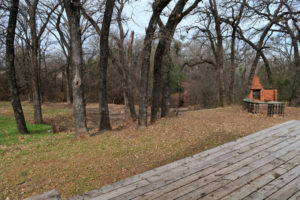 Two homes sold in North Fork Estates where homes are on acre lots. These residences sold for $225,000 and $290,000. Even calculating these outlaying sales into the average, the average sold price of a Saginaw home was $166,000. The average time on the market was 21 days and the average seller received 99.88% of the list price. When we eliminate foreclosures, new construction and homes with acreage, only twenty homes sold in Saginaw in February. Of these twenty only one sold for more than $200,000, a home with a pool in Willow Creek Estates. The least expensive home sold for $130,000. The average price of these twenty homes that sold by individuals in Saginaw last month was $159,195. The average list price was an incredible $158,985. Yes, you read that correctly. The average house sold for 100.25% of the list price! The average home was on the market 15 days, but eight of the homes were on the market less than a week. Often the extra days on the market are because the buyers are in a multiple offer situation, and the seller has asked for the highest and best offer. The seller will give time for more offers to come in and for buyers to talk to their lenders and partners about higher offers. These frequent multiple offers make this a great sellers’ market!